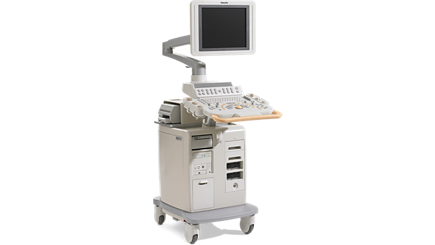 The Philips HD11XE portable ultrasound system is designed to grow with your clinic’s medical and radiology needs. From its digital beamformer and SonoCT imaging to XRES image processing, the HD11XE ultrasound meets the medical needs for a wide variety of applications, including cardiac, emergency medicine, and stress echo. With 4D imaging capabilities for breathtaking studies, operators can seamlessly move through 2D and Doppler modes right to 4D studies. The HD11XE ultrasound also features a powerful architecture to support quantitative acquisition and display, for easy, simultaneous visualization and measurement. The Philips HD11XE ultrasound’s enhanced ergonomics, adjustable monitor, easy-to-use design optimize user comfort and versatility.